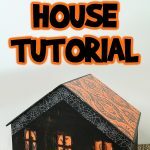 I’ve seen this craft around a few places and was so excited to try it, especially since I was recently given an old set of Christmas lights. 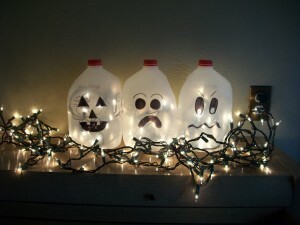 We have ours glowing away on the piano, but a whole line of these ghosts would be adorable on the porch for Halloween night. 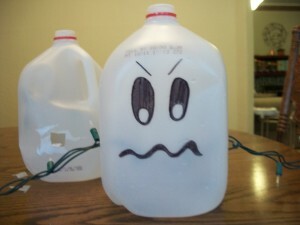 Just a few items are needed to make these glowing Halloween ghosts. 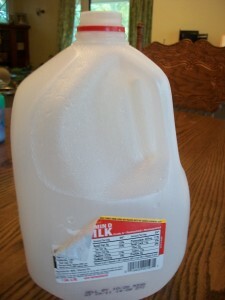 Rinse your milk jugs and peel off the labels. 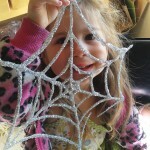 It’s better to do this in advance so they’re dry when you work with them. 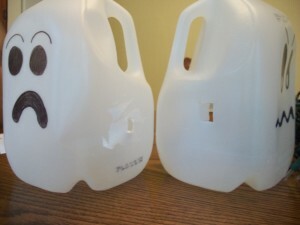 Have fun drawing silly and spooky faces on your Halloween ghosts. 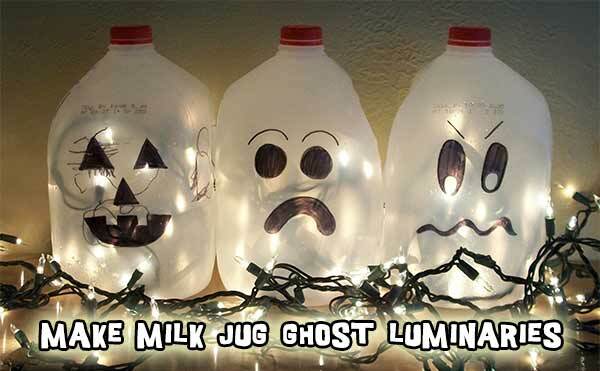 Cut holes in the sides of your milk jugs so you can string the Christmas lights through them and have them sit side-by-side. 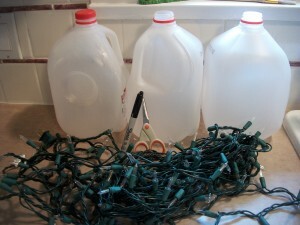 Feed the Christmas lights through the holes, making sure to bunch up plenty of lights in each milk jug. 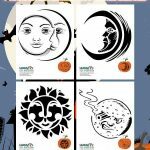 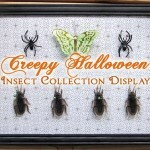 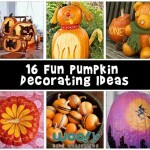 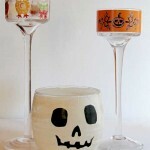 Line up the milk jugs, plug in the Christmas lights, and admire your awesome Halloween Craft!